Really? Because I was having trouble telling the difference between this and the original! 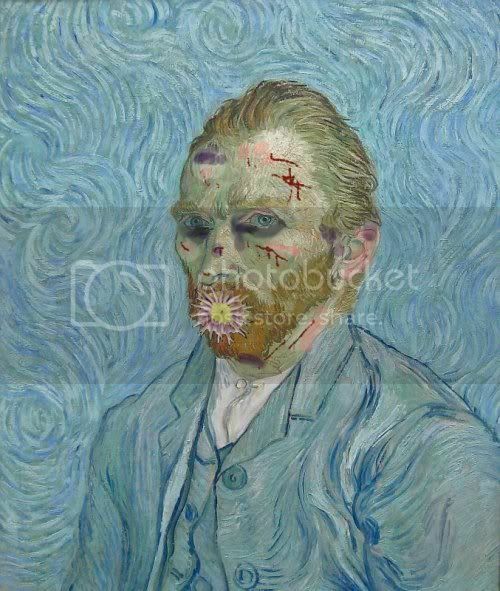 Just kidding, but seriously Zombies are disturbing things. 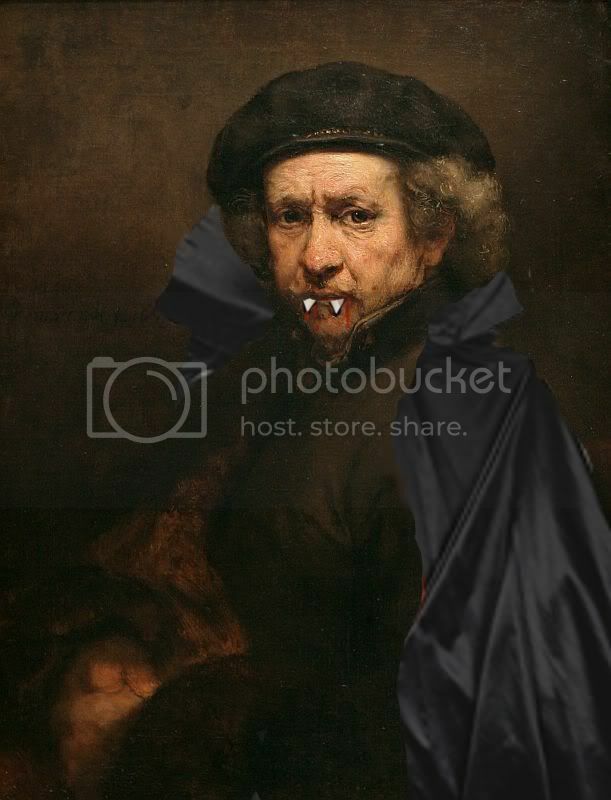 I think he looks kind of cute as a vampire. Last edited by Carson Collins on Tue Oct 04, 2011 2:18 am, edited 1 time in total. I just love those pastels! 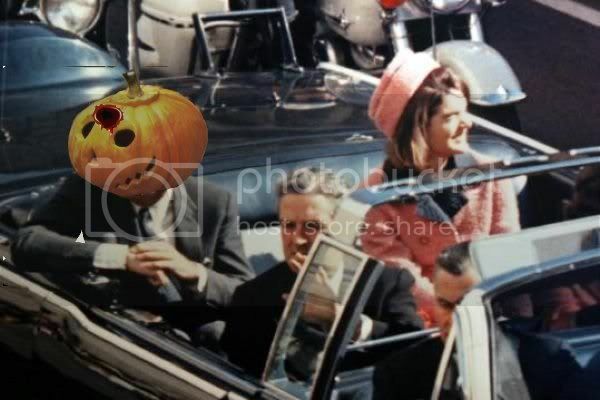 Two more iconic images conflated for Halloween: Jack Pumpkinhead and the assassination of Jack Kennedy. I call it The Assassination of Jack Pumpkinhead. Carson, you asked if I took offence, not at all! I find it clever, though I don't think pumpkins bleed red more than likely they bleed orange. 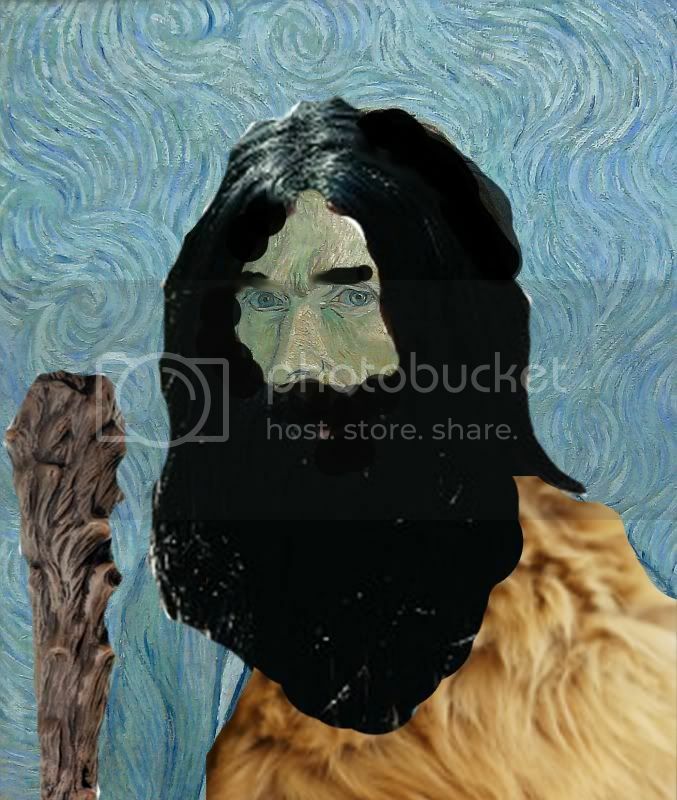 Now for one really quick before Halloween, it's Van Gogh (same one as before) in caveman costume. i do think you may be on to something, ha! judas start's food fight, that's some funny stuff! the money thing is a good idea too, i've done similar stuff in the past myself using various photos from magazine's etc, i'm ready! Hello, Scott, and welcome to the Game. We could sure use some more players right now, so jump in and show us some of that good Altered Art!